The Lyric Chorale is a member of the Greater Rochester Choral Consortium. 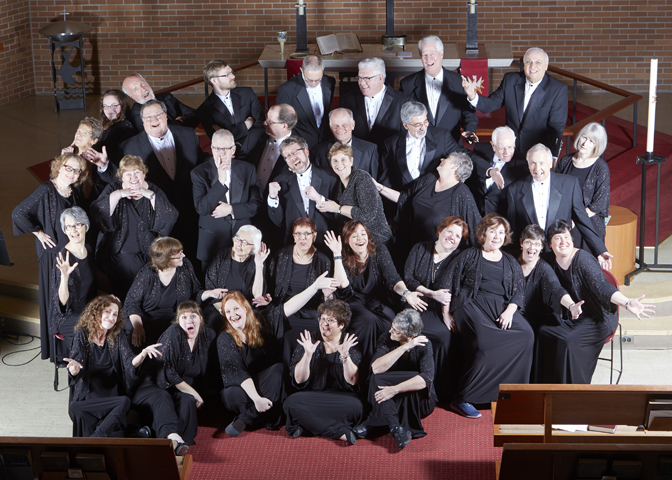 Founded in September 2003, the Lyric Chorale is a 40-voice SATB community chorus dedicated to the highest standards of choral singing. Directed by Chrisanne Gates, the Lyric Chorale rehearses Monday evenings in Penfield, NY. Our singers enjoy a wide variety of challenging repertoire, from classical to jazz, traditional to Broadway, and many other styles. Concerts have featured G. F. Handel, J.S. Bach, Randall Thompson, R. Vaughan Williams, Morten Lauridsen, Bob Chilcott, Leonard Bernstein, Aaron Copland, Stephen Sondheim, Eriks Esenvalds, and Eric Whitacre.